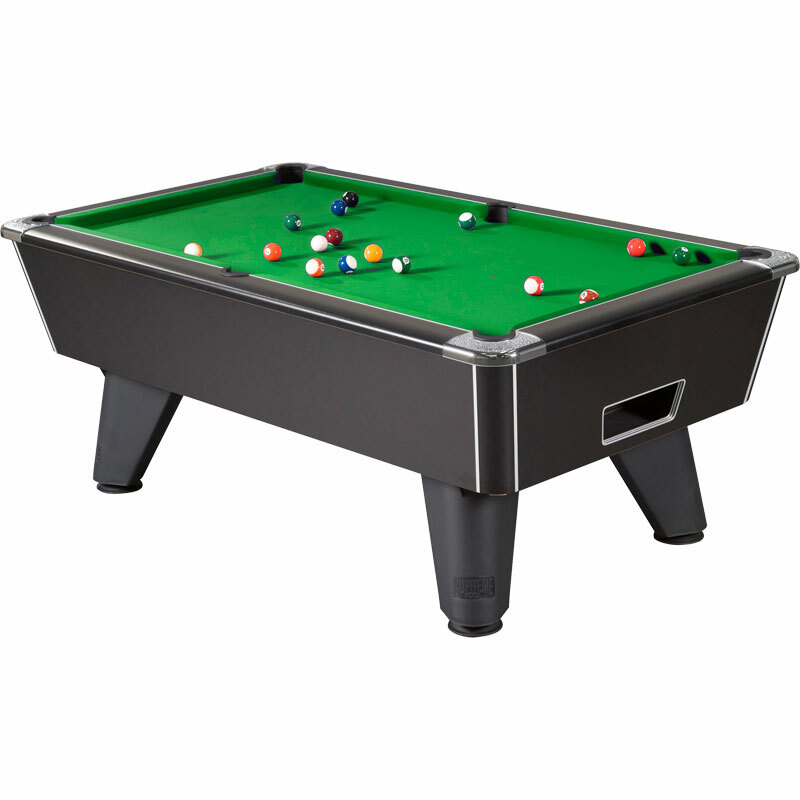 The Mightymast 6ft Winner Pool Table is a modern World Championship 6ft slate bed table. Choice of exterior finishes: black, white, oak. 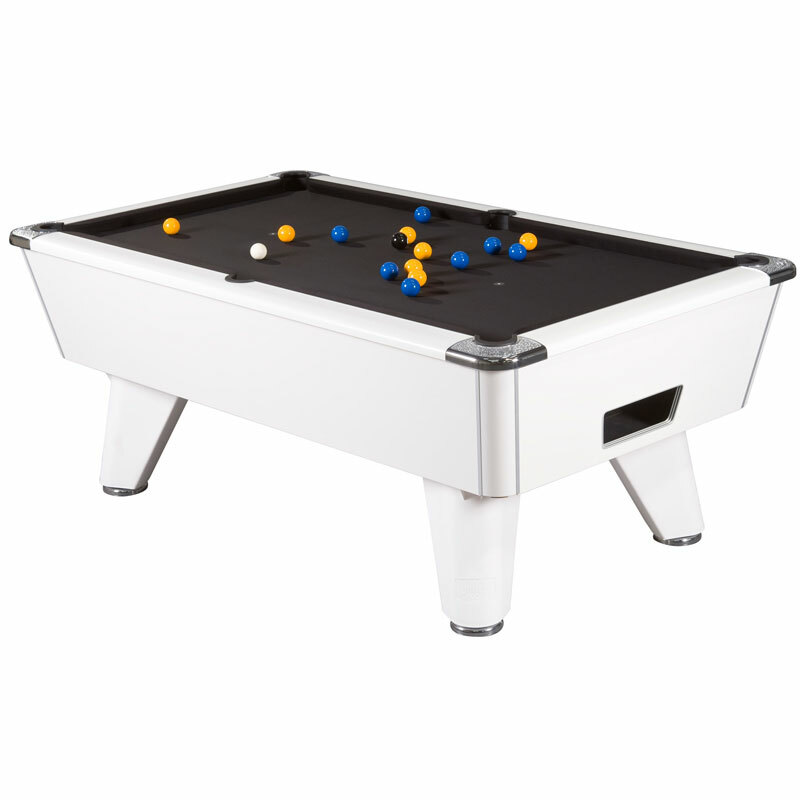 Includes 2 x full size cues, 1 x set Aramith balls, chalk & triangle. 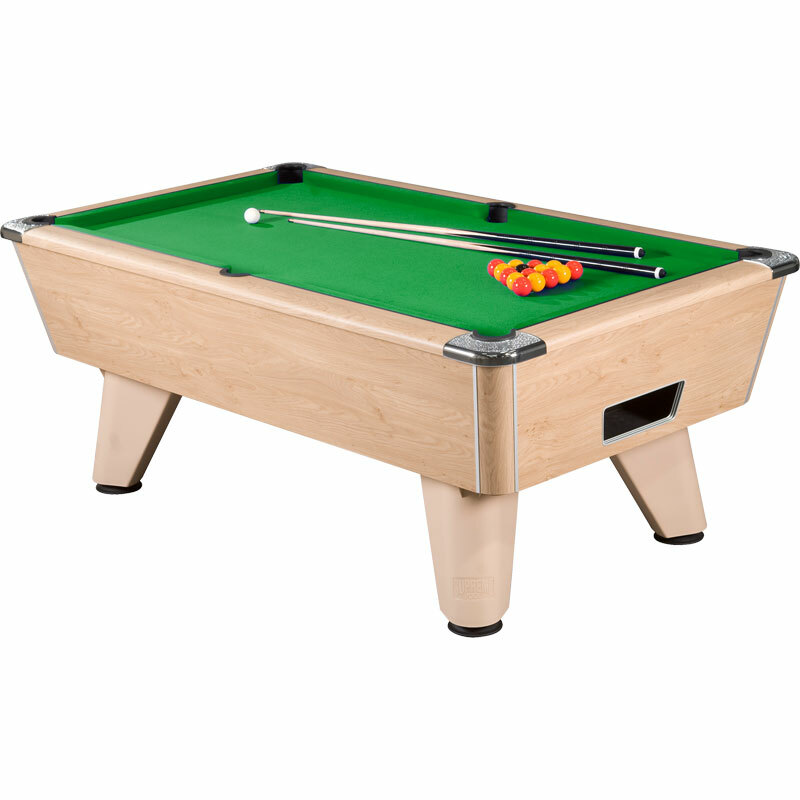 Dimensions Assembled: L188 x W111 x H84cm. Playing Area: 160 x 83cm.